Kenyan environmental economist Mary Karumba hopes to influence renewable energy planning in her home country, after completing her doctoral studies in South Africa. 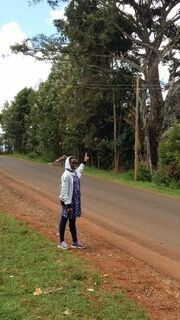 Karumba’s research, done through the University of Cape Town’s Environmental Policy Research Unit (EPRU) in the School of Economics, focused on the social and economic factors which limit the use of renewable energy technologies in her home country, Kenya. ‘This work also focused closely on the successes and failures of existing micro-hydro power schemes in Kenya, while demonstrating the potential of these plants in meeting energy needs of rural households,’ Karumba explains. Before embarking on her studies, Karumba worked as an economist in the Kenyan Department of Planning and Statistics, and was seconded for a time to a research-related parastatal. Since completing her doctoral studies, Karumba returned to the civil service in February this year. She is now back in the Department of Planning and Statistics, and is attached to the energy and infrastructure planning division. She believes her doctoral findings will be able to help inform policy, particularly in regards to the design of renewable energy projects there. Karumba says that even though some external funding agencies initiated many small hydro schemes around the country in the past two decades, the state has not followed through with supporting the technology or spreading it around the country. However, Karumba believes the ground is fertile for the inputs she can now bring to her department.